In the award-winning comic play Under the Jello Mold, Jennie Fahn revisits her very colorful character of a mother during what turned out to be the final act of her mother's life. Jennie's mother was a force to be reckoned with -- a former dancer never content to merely rehash her past, there was always a story to be embellished, always a name to drop, always a lesson to teach. Jennie learns that not only were her post-mortem instructions hid in a specific place ... her mother was also hiding a long-held secret. 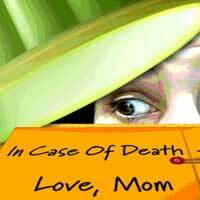 Enjoy this comedy about life, loss and being of sound mind and body at the Pico Playhouse in Los Angeles.